To facilitate effective implementation of Burundian Refugee Supplementary Program targeting children under five, Pregnant and Lactating Women (PWL) and vulnerable groups; the project aims to stabilize and improve the nutritional status of Nduta and Mtendeli refugee Camps. Supervise and support Refugee Nutrition Volunteers in delivering nutrition services in the implementation area. Train communities and implement context-appropriate community-based strategies such as CMAM for prevention and rehabilitation of malnutrition. Collaborate with regional and district health teams to ensure that Health workers trained on context appropriate for SFP and other services including referral for severely malnourished cases. Provide nutritional assessment, advice and ongoing support to clients, Nutritionists may be involved in coordinating community health initiatives, promoting nutritional education and researching population health. Deliver presentations and workshops on areas such as health education/promotion, behavioral change and lifestyle change. Collaborate with LGA to ensure that Government engaged in Burundian Refugee Emergency Response, strategies and protocols for improving nutrition policies and practices, to ensure that refugees in camps receive appropriate treatment for moderate acute malnutrition (MAM). -Work environment: Refugee Camps in Kibondo or Kakonko Districts. -Travel: 5% Domestic travel is required. 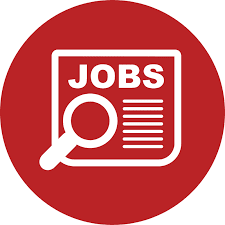 The Monitoring and Evaluation officer will support the M&E specialist and the regional project coordinator in all monitoring and evaluation activities for the ENRICH program in the region. S/he will support establishment of systems for gathering, reporting and analyzing performance data for impact and sustainability of project implementation. Work with project team to establish systems for gathering, reporting and analyzing performance data for impact and sustainability of project implementation. Coordinate all monitoring, evaluation and research tasks and deliverables for the project and ensure that all required reports and documentation for the project in the region is timely submitted. Ensure timely preparation and submission of monthly, quarterly, semi-annual and annual progress reports on the status of project implementation in the region. Support the M&E specialist to review and provide feedback to programs on the quality of methodologies established to collect monitoring data and document the protocol that are in place for collecting and aggregating of data. Work with the M&E specialist to establish an effective system for assessing the validity of data through verification and appropriate technology. Support program staff and other implementing partners in review of progress reports in accordance with approved reporting formats. Ensure that monitoring data are discussed in the appropriate forum such as the district and regional nutrition multi-sectoral steering committee and partner meetings in a regular basis. • The GAM Director will provide leadership to increase the grant portfolio of WV Tanzania in order to reach the National Strategy, advance child wellbeing and meet funding mix proportions as defined in annual targets. • Develop and maintain high quality working relationships with support offices, the Regional Resource Development Unit and in particular the Grant Acquisition and Management (GAM) Hub to support the process of proactively identifying and developing grant opportunities that will raise WV Tanzania profile. • Work with Finance team to ensure budgeting and all necessary costs are correctly formatted. 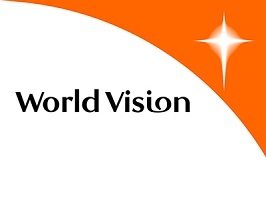 • Ensure high quality concepts and proposals are prepared in line with World Vision and donor strategies. • Lead the process of preparing funding proposals, including Grants, Private Non Sponsorship Projects and Corporate Donors. • Manage opportunity pipeline tracking planning based on country level donor mapping, strategic direction and areas of alignment prioritizing grant opportunities that are aligned with National Office strategic priorities. • Ensure an up-to-date donor-engagement plan exists and that relevant staff are equipped to adopt and implement the plan. • Develop close relationships with donor agencies, particularly those with local missions in Tanzania to explore opportunities for deepening their engagement with WV Tanzania. • Actively engage prioritized Support Offices to raise the visibility and credibility of WV Tanzania as a ‘National Office of Choice’ for support from private, bilateral and multi-lateral partners. • Represent WV Tanzania at key national and international forums. • Ensure that the resource acquisition management system effectively standardizes processes for identifying and establishing priority sectors and opportunities, assessing risk and managing project cycle. • Organize the development of staff and capacity for grants compliance (financial, contractual, programmatic and reporting) to increase program quality, credibility and marketability of WV Tanzania projects. • Develop and sustain an effective grant performance dashboard across WV Tanzania’s grants portfolio that will support to identify risks and challenges in a timely way and to prepare effective management reports on overall grants performance. • Actively engage support offices and East Africa Regional Office for regular support and capacity building of staff and partners in Monitoring & Evaluation, compliance management, and research and documentation. • Ensure full and timely compliance of the Business Development Division on all required organizational dashboards and indicators. • Provide leadership in facilitating a high performance management culture, open trustworthy staff relationships and integrity to enhance smooth staff relations and accountability. • Pursue meaningful opportunities for training and capacity building for staff to enhance their skills in experience. • Purposefully promote a high level of collaboration and integration of Divisional objectives with other WV Tanzania Divisions. • Actively manage staff performance and ensure staff job descriptions, contracts and performance reviews are up to date and submitted in a timely manner. • Coordinating in close collaboration with the Divisional Directors the development innovative and meaningful partnerships and consortia with private, public and non-government partners. • Managing end-to-end partner engagement processes for WV Tanzania i.e. tool development, identification, solicitation, vetting, selection, performance assessment and MoU signing. • Liaising with Partnership stakeholders (GC, EAR and SOs) in engaging partners. • Maintaining sound relationships with partners i.e. soliciting and providing feedback and exploring areas for growth. • Ensure Stewardship and accountability of WV Tanzania material and financial resources that are managed by the Business Development Division. • Through a high standard of personal and professional integrity, instill and promote a culture of total accountability and care with donors’ resources entrusted to WVT. • Masters degreeand/or professional qualification in International Development studies, Community Development or any Social Science related degree from a recognized University. • Minimum of 10years’ experience in programming (designing, implementing, evaluating and monitoring) of integrated development, relief and/or advocacy of donor fundedprojects. • Excellent knowledge and experience of grant management or backstopping and experience of grant compliance procedures and regulations for major bilateral and multilateral donors. • Experience on influencing policy formulation, implementation, evaluation, mobilization for stakeholders engagement in the decision making process. • Have at least 7 years’ experience at managerial level in an international NGO. • Be a results orientated leader with the ability to handle a heavy work load, manage and satisfy multiple conflicting organizational, donor and other stakeholder demands. • Ability to provide spiritual leadership to the team. • Ability to think strategically and innovatively, constantly pursuing new and better ways of working. • Be committed to empowering others for transformation – both inside and outside of the organization. • Be committed to pursuing tangible and lasting impact in the lives of the poor through an empowerment approach. • Ability to inspire across a wide range of audiences and to communicate effectively. • Working knowledge of programs/projects cycle management. • Ability to maintain effective working relationships with all staff and other key partners. • Demonstrate leadership and team building ability. • Working knowledge of proposal writing and negotiation skills.